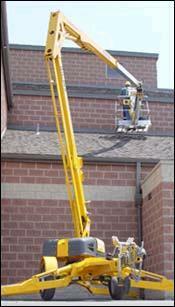 61' 3" WORKING HEIGHT. (55'3" AT YOUR FEET). * Please call us with any questions about our towable boom 55 foot rentals in Duluth MN and Superior WI, serving Proctor MN, Hermantown MN, Northern Minnesota and Northern Wisconsin.